Hunter Hayes Age, Girlfriend, Wife, Height, Net worth, Is He Gay? Home Musicians Hunter Hayes Age, Girlfriend, Wife, Height, Net worth, Is He Gay? Hunter Hayes is a young and exciting American songwriter, musician, and country music singer. He has a reputation for being a multi-instrumentalist who is skilled at playing an astonishing 30 musical instruments. For most singers, it can take up to 10, sometimes 20 years to get a Grammy nomination, but for Hayes, he has already been nominated for the Grammys five times before his 30th birthday. Hayes’ debut album titled Hunter Hayes dropped in 2011 and had an impressive running on Billboard charts, it rose to number one on the Billboard Top Country Albums chart and number seven on the Billboard 200 chart. He won the CMA New Artist of the Year Award in 2012. He is also the recipient of three BMI Awards and he is signed to Atlantic Records music label. Hunter Hayes was born on the 9th of September 1991 and his birth took place in Breaux Bridge, Louisiana, U.S.A. He began performing and appearing on television from the young age of four. Some of the shows he appeared on include the Nickelodeon show Figure it Out, Rosie O’Donnell show and Maury. Hollywood actor Robert Duvall gave him his first guitar when he was six years old. Hunter was invited to perform at a White House lawn party during the Clinton administration at age seven. At 13 years of age, he appeared on America’s Most Talented kids Show then hosted by Dave Coulier and performed the Hank Williams hit song Hey Good Looking while on the show. When he was 16 years old, he moved to Nashville Tennessee where he signed a deal with Universal Music Group as a songwriter. He later signed with Atlantic Records Nashville, this was prior to the release of his debut album, Hunter Hayes. In the summer of 2011, he was ten times the opening act during Taylor Swift’s Speak Now World Tour. His own headlining tour the Most wanted Tour started in October 2011 and ended in December 2011 at San Bernardino. Between January and February 2012, Hayes performed as the opening act on Rascal Flatts’ tour, Thaw Out. He was also the opening act for The Flaming Lips tour at Hattiesburg. Hayes wrote the song Where We Left Off which became a soundtrack to the war film Act of Valor in 2012. That same year, Martin Guitars announced him as brand ambassador for C.F. Martin and Co in addition to this, he was inducted into the Louisiana Music Hall of Fame, becoming its youngest member. His single Wanted took the top spot on the Hot Country Songs chart and this made him the youngest male solo artist to achieve this feat since Johnny Rodriguez did the same in 1973. In 2012, Hayes won an American Country Music Award for Single by New Artist for his Wanted song and another for Music Video by a New Artist. He was also nominated for New Artist and Breakthrough Artist of the Year and his song Somebody’s Heartbreak was nominated for Single by Breakthrough Artist. He also won the Teen Choice Award for Choice Male Country Artist in 2012 and 2013 among several other nominations and awards. In his short career, Hayes has been nominated five times for Grammy Awards. His first three Grammy nomination came during the 2013 Grammy Awards show in which he got nominated for Best New Artist, Best Country Album (Hunter Hayes album) and Best Country Solo Performance (Wanted). His songs I Want Crazy and Invisible were also nominated for Best Country Solo Performance at the 2014 and 2015 Grammy Awards respectively. Hayes is one of the highest-paid stage singers. The multi-talented instrumentalist and singer has an estimated net worth of $4.5 million dollars. In 2017, a controversy as to Hayes’ sexual orientation began after LGBT publication, OUT Magazine included him in it’s 100 most Eligible Bachelors list of that year. Hayes, however, has never mentioned being gay nor has there been any evidence to show that he is gay. His publicly known romantic relationship was with a lady – Libby Barnes, with whom he was deeply in love as reflected in some of his songs. Hunter Hayes has never been married. His only known love affair is with Libby Barnes which ended in a breakup in 2018. As a young man, he still has age on his side, if he still wishes to get married. 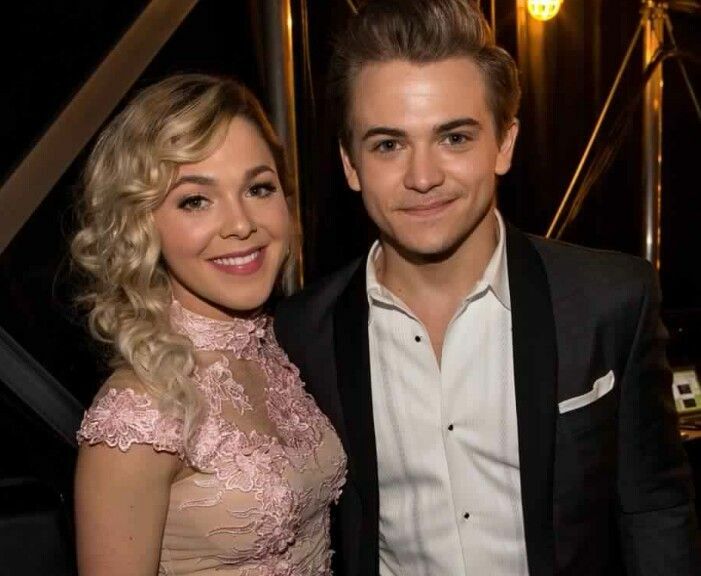 Hunter Hayes was romantically involved with hair stylist Libby Barnes between 2014 and 2018. It was largely a private affair through their four years together. The relationship, however, came to an end sometime in 2018. Hayes mentioned in an interview that even though he was heartbroken, he would not let it get the best of him. Hunter Hayes isn’t the tallest of guys. He stands at 1.68 m. (5 Feet 6 inches). He weighs 65 kg (143 pounds). His chest size measures 42 inches and he maintains a fit pysique.